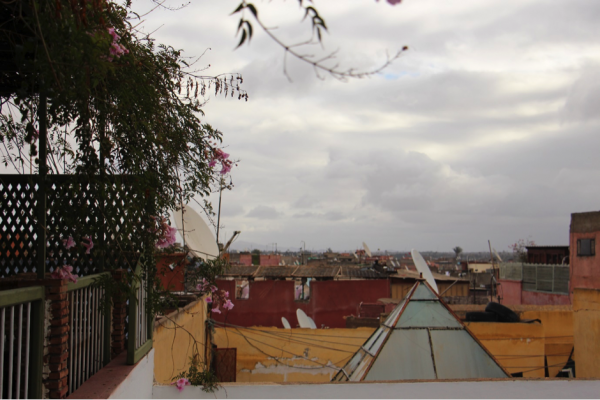 The distinctly discernible ash-pink, clay colour of Marrakech is now instantly recognisable everywhere. 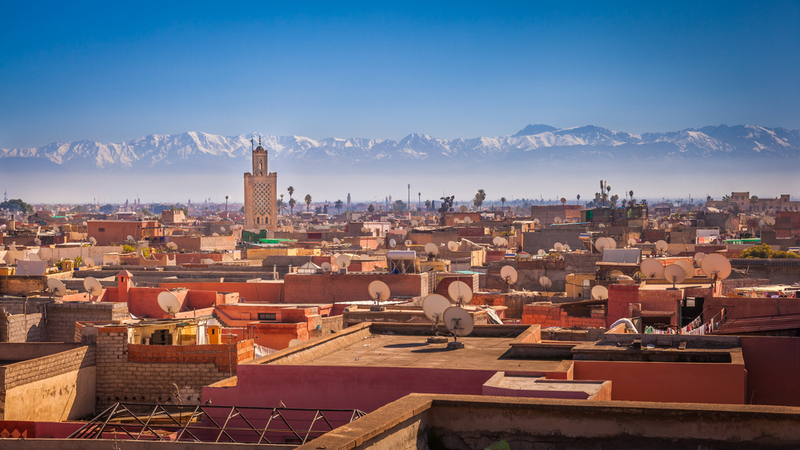 Marrakech offers a multitude of exciting activities— from exploring the gastronomical delights of Moroccan cuisine to walking in gardens sprinkled with ancient remains, there is something to do for everyone! I’ve had the privilege of visiting the beautiful city of Marrakech recently and here is a review of the 6 attractions I’ve visited and how it compares to the rest. Taking an insta-worthy shot there is as easy as it is beautiful. 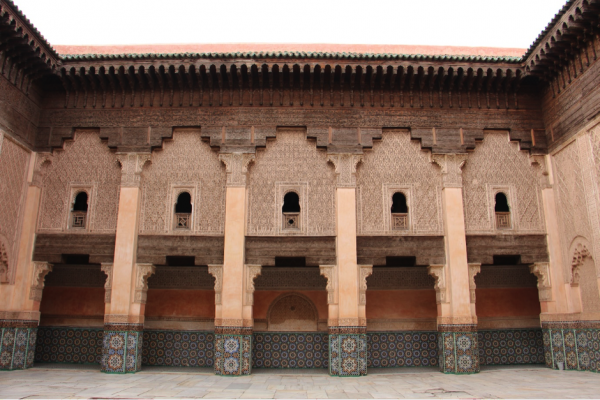 Constructed in the 14th century during the Islamic Golden age, the Ben Youssef Madrasa served as a college for the best and brightest (not to mention wealthiest) in Morocco. 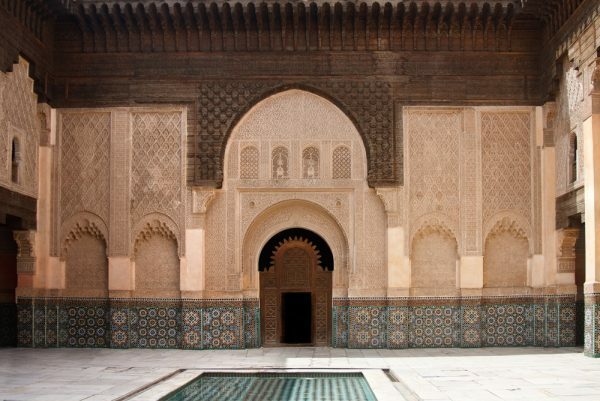 The madrasa is the largest in the whole of Morocco and may have had 900 students at one time. The exterior remains intact, with the same doorway arches, the tiny windows for ventilation, even the same busy roads. Even as you enter, you feel as though you have been transported to the glory of the yesteryears. The exterior remains intact, with the same doorway arches, the tiny windows for ventilation, even the same busy roads. Once inside, don’t forget to look sdp at the marvel of the roof architecture. 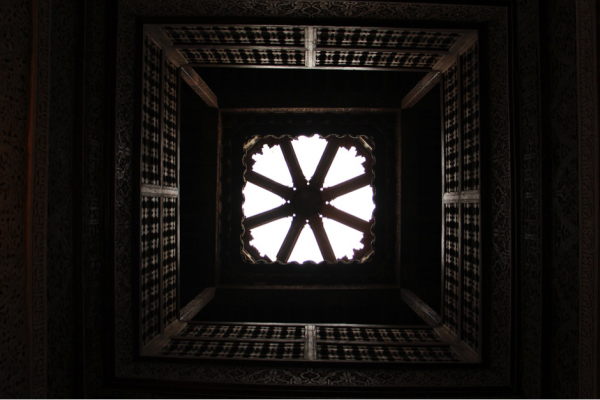 There is mindfulness in every decision made for the design of the madrasa. Since there was no electricity, the students had to rely on daylight. But this was the University for the best and brightest, even if light had to enter from the ceilings, it had to do so brilliantly. Our guide told us that the roof was designed in a special way to ensure that light was maximised on all floors. Whatever it is, it made for beautiful silhouettes. The other thing that caught my attention was the intricately-carved marble on the doorway arches. I didn’t notice it at first, being the oblivious person that I am, until the guide pointed out to me that it was all hand carved by the grandmasters at that time. Even the walls were carved in complex and beautiful designs, adorned with immaculately placed mosaics tiles of the best quality. Ahhhh, Morocco is so beautiful. Fair warning though, it does get very crowded quickly. I suggest that you go as early as possible or as late as possible. Imagine how beautiful this shot would have been if there was no one photobombing my guide. Unless you want to wait 30 minutes to get a good shot and a clear view, just sleep a little earlier the day before, and head down earlier! 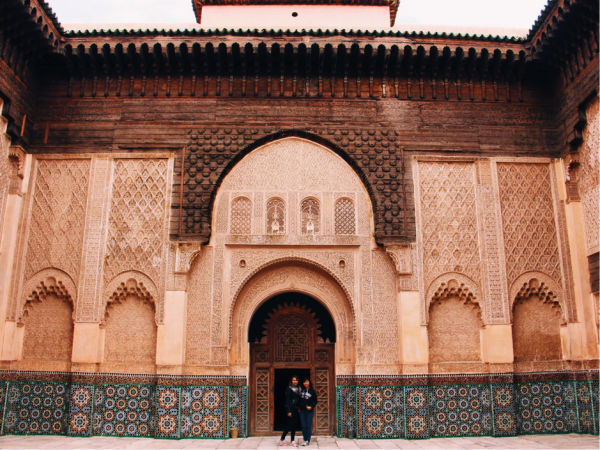 I would really, REALLY recommend for you to go and check out the Ben Youssef Madrasa! 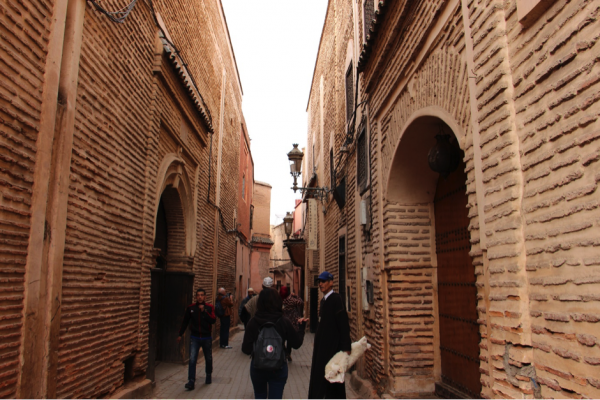 If possible, you could do it during a day tour of the Marrakech medina with a guide. There were not many signs around to explain what exactly was going on, so a guide would be useful to getting a clearer glimpse of the past. We even got to see the student dormitories and the professor’s quarters. They were nearly identical except for a better decorated door arch. Without the guide, we wouldn’t have even recognised the rooms as dormitories and would have probably thought of them as classrooms or offices. 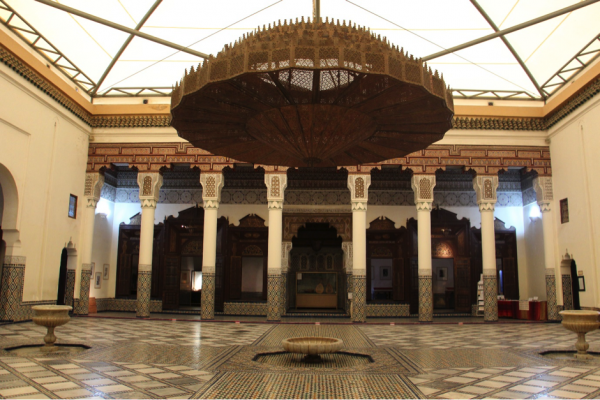 The museum of Marrakech, despite its name, is one of the lesser known attractions, ranked at 40 on TripAdvisor. Having hired the tuktuk driver for half a day, we asked him where he recommended for us to go. Entrance wasn’t too expensive. Somewhere between 2-4 USD (student price) for entry. I’d imagine it to be almost double for adults though. 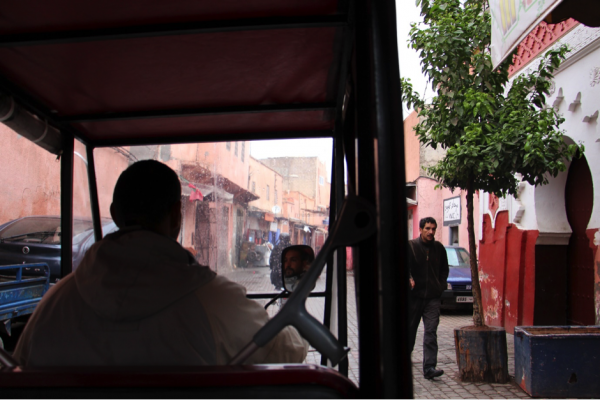 Our tuktuk driver zipping in and out of Marrakech traffic which included motorbikes and donkeys. To be honest, the artefacts weren’t that impressive. If you are accustomed to the impossible standards set by the National Museum of Singapore, the tiny collection of items (I wouldn’t even call it artefacts) would be a disappointment for you. 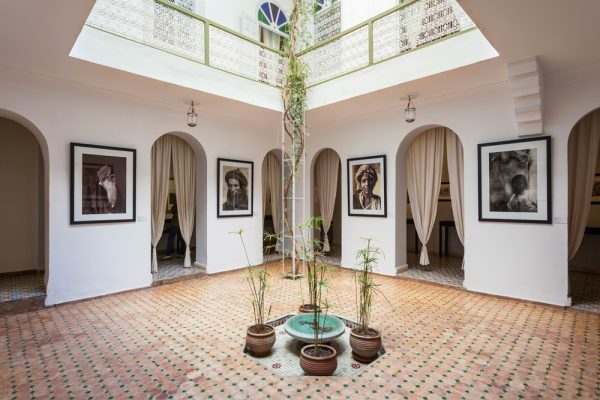 A plus point, would be the architecture (again, I love Moroccan architecture). Luckily for me, it was my first stop of the day and it was completely empty which meant that I could go absolutely nuts with my camera. I certainly wouldn’t recommend the museum on the basis of its artefacts but if you’re a student and would like to have some column envy, this might be the place for you. I certainly wouldn’t pay 7USD for entrance though. The photography museum is another hot contender. Ranked 8 on tripadvisor for its rooftop views rather than its exhibits I decided to check it out. Hall of photographs, archway portrait, in an archway portrait. Arch-Ception. I was in for a surprise. 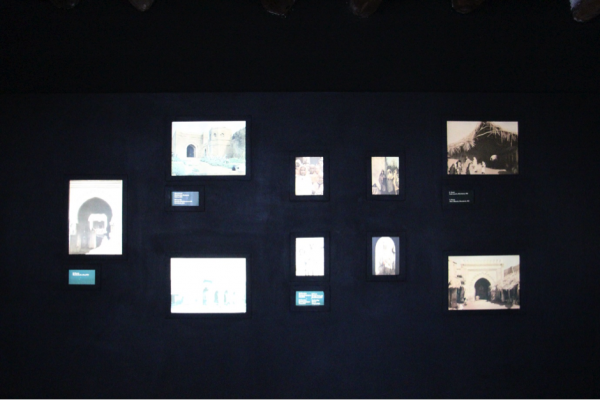 The exhibits taken by the early explorers were very interesting and offered a window to the past. 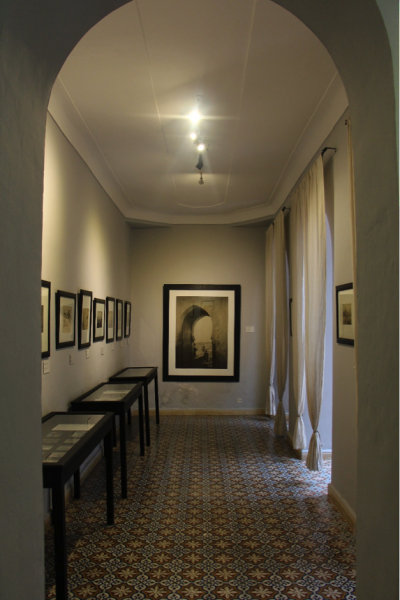 It also proved that the medina of Marrakech really hadn’t changed that much at all. The souks, the streets even the donkeys felt like they had been immortalised in time. So this is what everyone had been raving about. The rooftop. It’s honestly not that magnificent. Or maybe it’s because I went on a cloudy day. Regardless, I felt that the exhibits were worthy of a visit, and not this rooftop. There is a fee of 40 dirhams (4USD) but I think it was well worth the money. Its really something you can’t see anywhere else. For part 2 of this review of Morocco attractions, see here. Flights to Morocco from Singapore can be expensive with a few stopovers so look for flight discount codes before you book your flights. *All images were taken by thetravelynn.com unless stated otherwise. This is a guest post by Lynn who is a travel addict. Lynn likes shiny things (aka luxury travel), photographing animals and ticking places off her bucket-list even though she hopes not to die so soon. If you liked this article, do visit her website at www.thetravelynn.com. Follow her @thetravelynn on instagram, facebook and twitter!